Innovative device intented to appease child pain and prevent from bumps.
. No side effects, can be used at all ages.
. Long lasting (more than 1 hour). 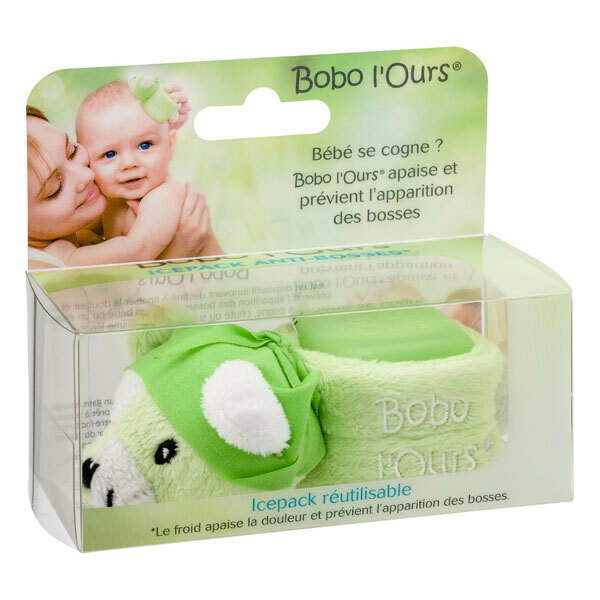 You just have to place Bobo l'Ours in the freezer. It's useless to remove the ice cube from the plush to put him in the freezer. In case of fall or shock, you just have to take Bobo l'Ours out from the freezer, he's ready to applie.